FILL – FREEZE – FUN! 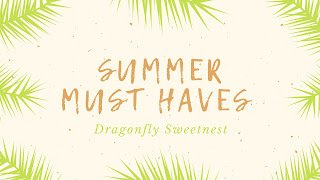 When it is HOT outside, we always want an ice cold drink, Popsicle, or anything to cool us off. 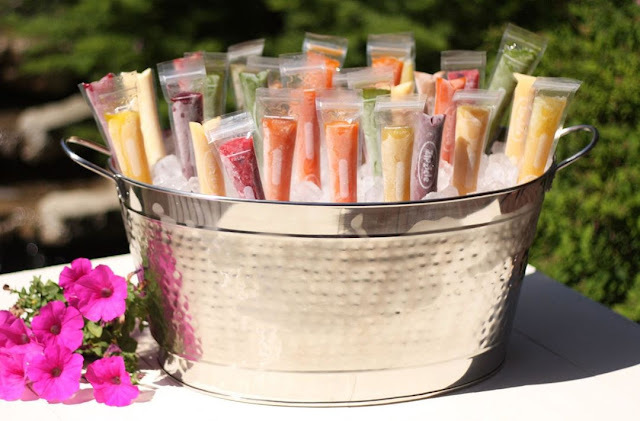 However, when we have a box of Popsicle’s, there are always some flavors that no one likes to eat, so for a lot of us, making our own popsicles with those reusable containers can be a better option. When I found out about the Zipzicle, my whole family was super excited to try them out. Not only could we make our own flavors the way that we like, but they are unique popsicles in a sleeve! During my review I let the kids decide on some flavors and I picked some for the hubby and myself. We made a couple of different flavors with our juicer using fruit, while also adding bits of fruit pieces in. I personally loved this! My kids were happy with homemade lemonade as their flavor. I tried different types of pop (soda) as well. 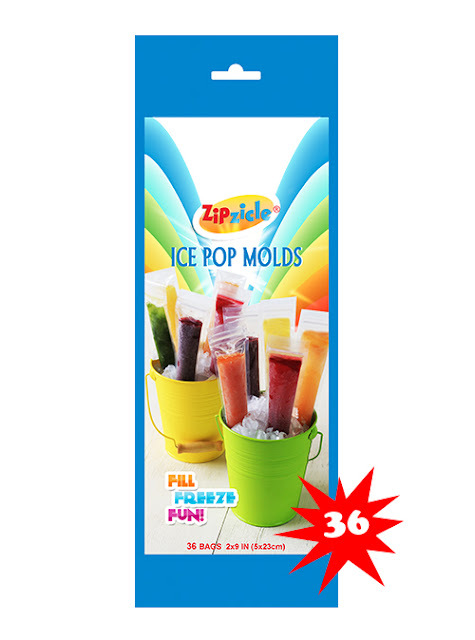 I was pleasantly surprised by how easy it was to add the flavored juice drinks into the Zipzicle. I put a funnel in the top of them and just poured in the liquid, sealed up the sleeve and put it in the freezer. There is a fill line on the sleeve, as well as a spot to add the date and flavor. This was a thoughtful consideration, as you can’t always tell which flavor you are getting when making your own popsicles. I love how easy the top is to open and close. This makes it great for little ones who don’t usually eat the whole Popsicle. They can eat what little bit they would like then you can close it back up and put it into the freezer again. I also like that these are reusable, if you choose to go this route, which makes them a great money-saving option. My family is loving the Zipzicle. They are easy to use and don’t take up much room in storage. Most DIY popsickle containers are three-dimensional and take up as much space as a food container, these lay flat, and are conveniently stored just about anywhere. It is super fun to get together as a family and make our own Zipzicles, and also not have to settle for flavors that we do not enjoy!